The budget airline said that customers will be allowed to bring only one small piece of luggage into the cabin starting in November. The bag must be small enough to fit under a seat. Passengers will be required to pay to bring additional luggage into the cabin, or have it stowed. Up to 95 customers per flight can pay £6 ($7.70) when they book for priority boarding and the ability to bring a 10 kilogram (22 pound) bag into the cabin. Another option is paying £8 pounds ($10.30) to have a 10 kilogram bag checked. Ryanair (RYAAY) said the policy was changed to cut down on delays, and it does not expect to make any additional money. It previously allowed passengers to bring one small personal bag into the cabin, and stow a 10 kilogram bag without charge. 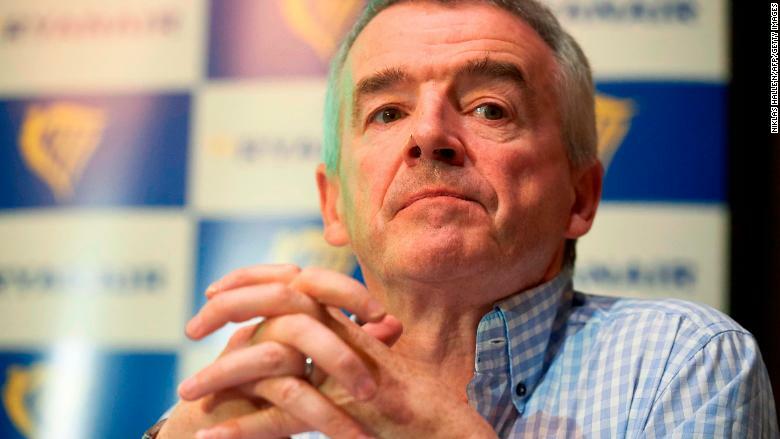 Ryanair CEO Michael O’Leary has a reputation for aggressive cost cutting. Ryanair is known for low fares and a no-frills ethos. It operates over 2,000 flights a day and carries about 130 million passengers a year. It has been slammed by higher costs and a series of strikes in recent months as pilot unions try to negotiate collective labor agreements with the airline. David Bentley, chief airports analyst at CAPA — Centre for Aviation, warned the new baggage policy could annoy passengers. “The entire procedure is far too ‘messy’ with more and more regulations and that is not going to sit happily with leisure travelers in particular,” he said. Ryanair has announced a strict new baggage policy. Analysts said the new baggage policy is among the most restrictive in the industry. 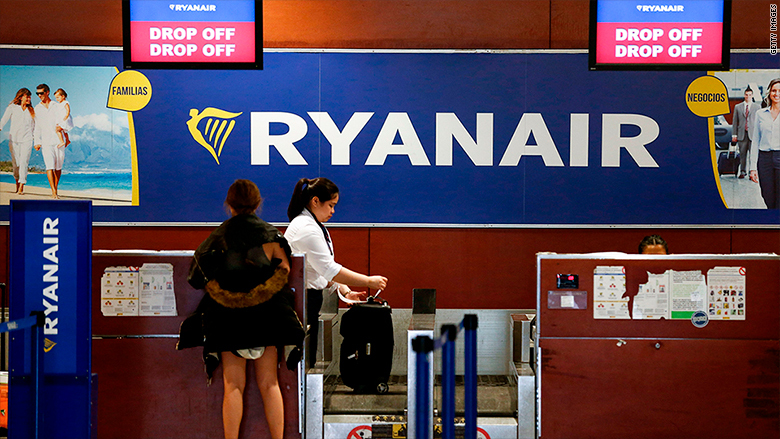 “This a potential game changer for passengers and the industry, if Ryanair can make the fee structure stick,” said Rob Byde, an aviation analyst at investment bank Cantor Fitzgerald. “The airline is clearly trying to curtail overloading of the cabin but it also has its eye on a lucrative new revenue stream,” he said. Unions that represent Ryanair pilots say they’re looking for better working conditions. The airline’s pilots and crew are not, for example, provided with free food or drinks. “Ryanair expects all its people to pay for their drinks and snacks whether in the staff canteen or on board the aircraft. This is a ‘low cost’, not a ‘free food,’ airline,” the company said in an email to CNN.